Nick Mastilovic is a 9th grader who dedicates most of his free time contributing to our community and being a social activist. Recently, Nick has helped the campaign in any way that is needed – whether it’s assembling signs, making hours of calls or canvassing. The other day I was talking with Nick and asked him why he chose to get involved with my campaign and this is what Nick told me. Thank you for being such an inspiration and an asset to the campaign, Nick. Come and knock on doors with Nick and other amazing people Saturdays and Sundays from 12-3pm and 3-6pm. 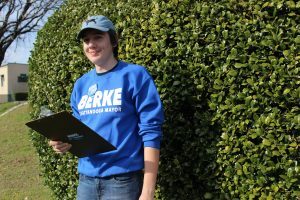 Call Chelsea at (423) 355-1140 or email at chelsea@andyberke.com for more information about canvassing I’ll see you soon!